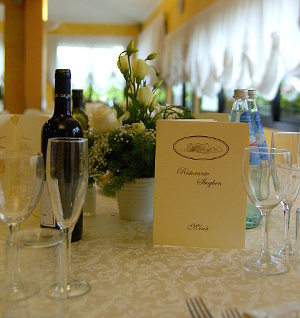 Sbeghen Restaurant is located on the Montello hill in the province of Treviso. The Montello, which in old times came under the domain of the Republic of Venice, remains one of the few untouched natural sites in the area. Surrounded by a park, the restaurant offers long walks in the beautiful, neighbouring woodland. We are confident in being able to satisfy the most demanding palates on the strength of our 40 year old local tradition. Our cuisine is strongly rooted in the Treviso and Montello area but we also offer creative and diverse dishes to meet the refined tastes of our clients!